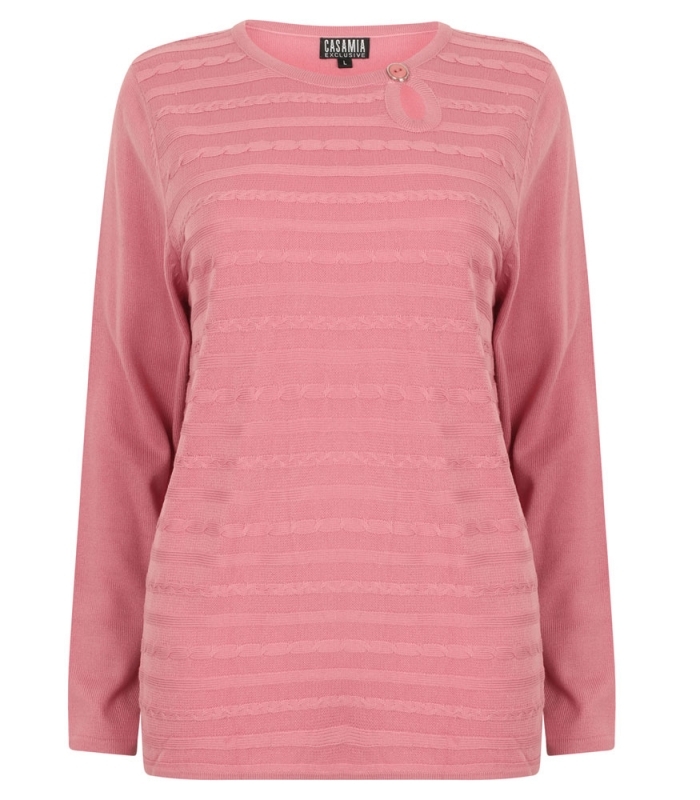 Crew neck, long sleeved, jumper with a keyhole at the neckline and horizontal cable-knit stripe detail. Our standard shipping method is Royal Mail First Class Signed and usually arrives within 1-3 working days. If you change your mind, we will refund any item you are unhappy with when you return it to us in a saleable condition within 14 days of the date shown on your invoice. Please note that we can only deal with returns bought directly from this website. If you have bought our products from another retailer the items must be returned to them in line with their returns policy.